Cleanup in — every aisle. 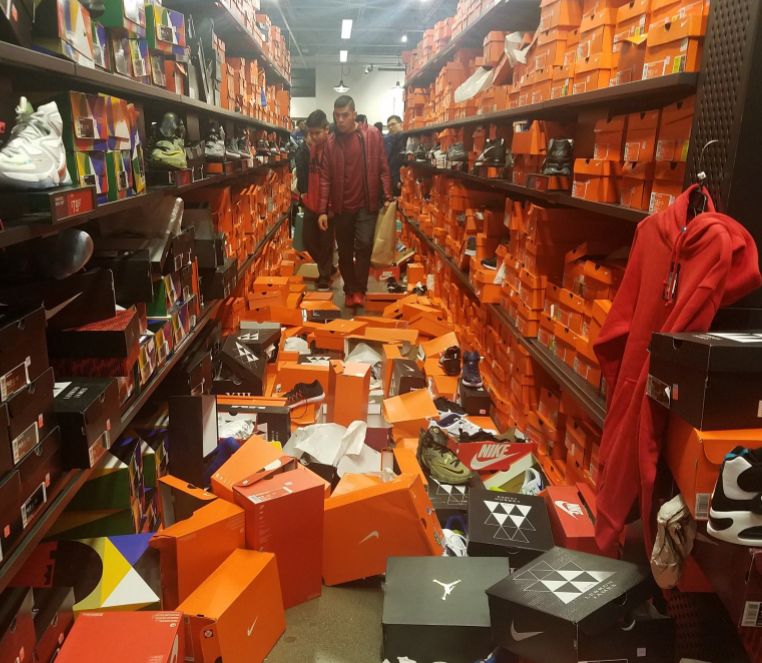 Employees at a Nike store were left with a nightmare cleanup after thousands of shoppers rushed through aisles of the store on Black Friday, throwing empty shoeboxes, chunks of cardboard and mismatched shoes in their path. Hundreds of shoe boxes were thrown on the floor and discarded, CBS Seattle affiliate KIRO-TV reported. The sight was so shocking people who dropped by the Nike factory store at the Seattle Premium Outlets in Tulalip, Washington, took to social media to provide evidence of the store’s destruction. The video went viral with more than 190,000 views and received dozens of comments. The wake of consumerism at the #Nike Factory Store is savage. Found Davis some basketball shoes, saved a lady from drowning in a sea of orange boxes, and sprained my neck from shaking my head so much. Yikes. #welldoneamerica #savages #cleanuponaisleeverywhere For licensing/usage, please contact licensing@rumble.com. According to Buzzfeed, roughly 20,000 people passed through the store between 9 p.m. Thursday and 10 p.m. Friday. Nike has not yet returned CBS News’ request for comment.